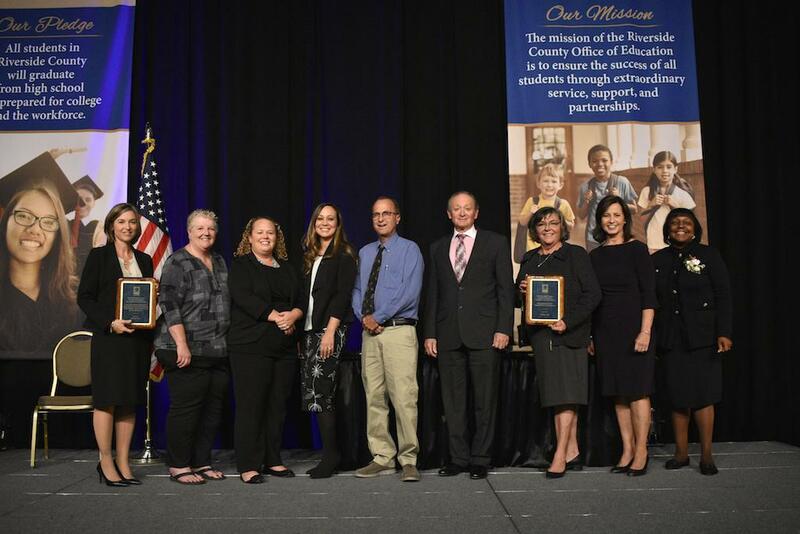 Hemet Unified was recognized by Riverside County Office of Education for its work around Continuous Improvement and Integrated Systems Framework. Hemet Unified School District is making great strides in providing a learning environment in which all students can succeed. 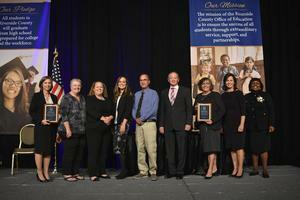 Recently, the District received recognition from Riverside County Office of Education and was awarded two Models of Excellence for its work in providing a Culture of Continuous Improvement and Integrated Systems Framework Development. At the 16th Annual Riverside County Education Summit, Hemet Unified staff led two workshops to describe their progress in Continuous Improvement and its Integrated Systems Framework. District and County staff throughout Riverside County were able to listen to the great things happening within Hemet Unified and use their findings to implement best practices within their District. The first workshop, Culture of Continuous Improvement: Implementation of Academic Standards, School Climate, Student Achievement, and Student Engagement; was led by Superintendent Christi Barrett and Assistant Superintendent of Educational Services Tracy Chambers. The two described the District’s need to create systems and processes to refine the work of staff to improve the outcomes for all students. They went into detail about new systems which were put in place, such as the District Office becoming a structure of support for staff instead of the District Office telling sites how they should run. Barrett and Chambers also described the work-around action plans and how data show support staff’s decision for implementation and revisions. Assistant Superintendent of Student Services, Dr. Karen Valdes and Director of Student Support Services, Dr. Tracy Piper led the Integrated Systems Framework workshop. This workshop focused on the District’s development to weave Positive Behavior Interventions and Supports (PBIS), Response to Intervention, and physical/mental health services, into a tiered system. This system was designed to enhance school climate, school-based services, community collaboration, and meet the needs of all students academically, behaviorally, and socio-emotionally. The two described the work-around community collaboration and its partnerships with various organizations that can further support the needs of our students and their families. Hemet Unified School District will continue to work on providing an environment in which all students and staff can succeed. With the continued support of the community, we know we will reach our goal of becoming the Premier Choice School District.